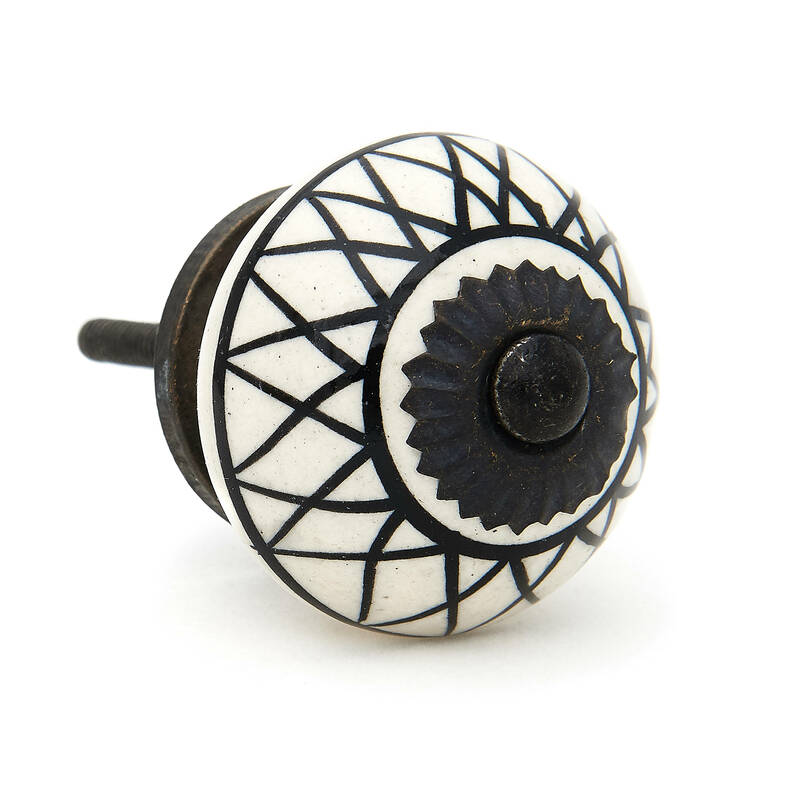 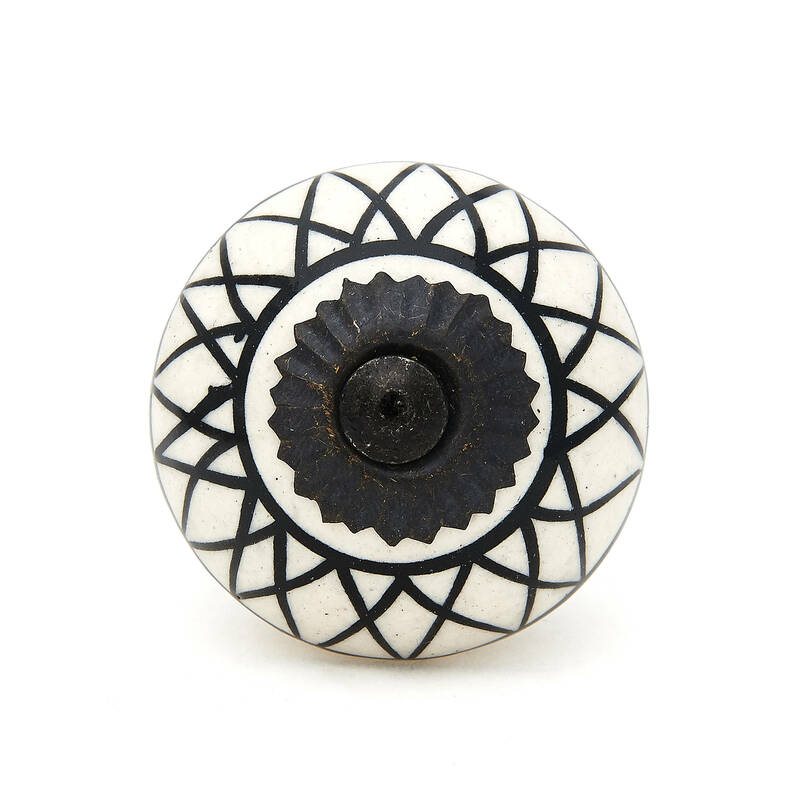 Black Lines Pattern Decorative Knob Pull for Drawer, Dresser, Cabinet or Door. 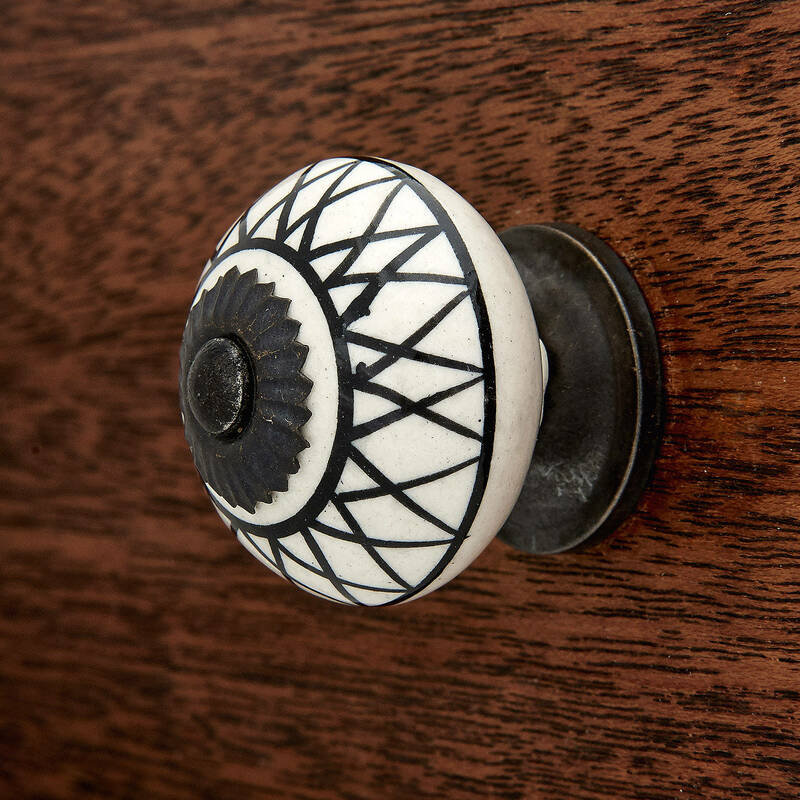 The white color on the knob is an off-white color and not pure white. 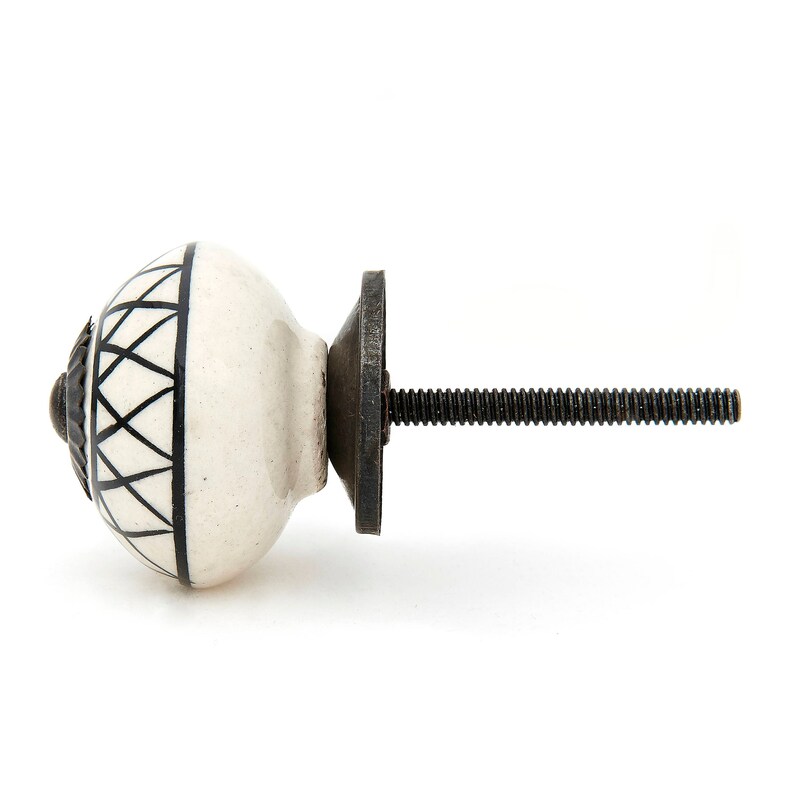 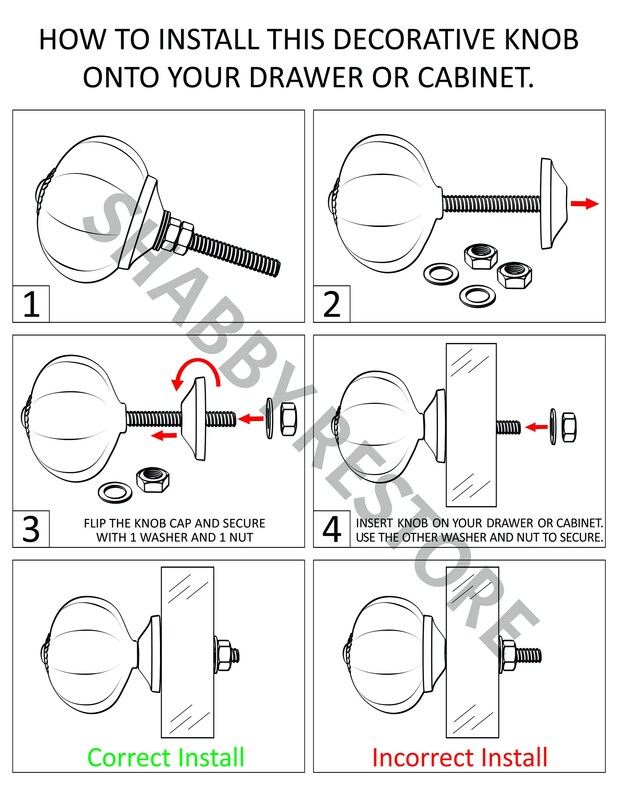 The hardware on the knob is all black to match the black on the knob.